Three best friends, Italian sunshine and a handsome stranger can fix just about anything… Can’t it? Maisie Knight had it all. A gorgeous husband. A successful business. A beautiful home. Until one day, after walking into the storeroom of their shop, she loses it all at once – catching her husband cheating on her with the girl from Checkout 3. So when she wins a holiday to Italy, a week under the Tuscan sun couldn’t come soon enough. Treating best friends Cheryl and Emma to a girls’ trip, the terracotta-roofed Villa Marisa on a rustic farm awaits them. The fields of golden sunflowers could be the perfect cure for Maisie’s broken heart – and local farmer, suspiciously perfect Gianni, with his thick black hair and twinkling brown eyes is a welcome distraction from her broken heart. Maisie could get used to the good life. But just as she’s getting her spark back, disaster strikes. The next thing she knows, her past is catching up with her, reopening old wounds and Maisie has a life-changing decision to make. 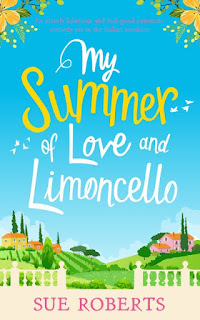 Should she say ciao to her summer of love and limoncello? A laugh-out-loud page turner about second chances, finding happiness when you least expect it and the restorative power of Italian food! 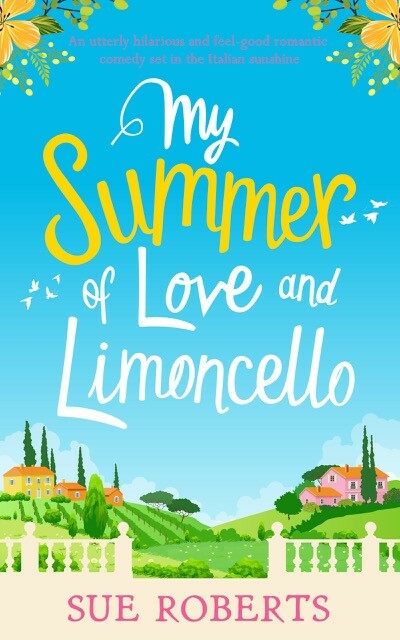 Fans of Carole Matthews and Sophie Kinsella will be totally hooked by My Summer of Love and Limoncello. 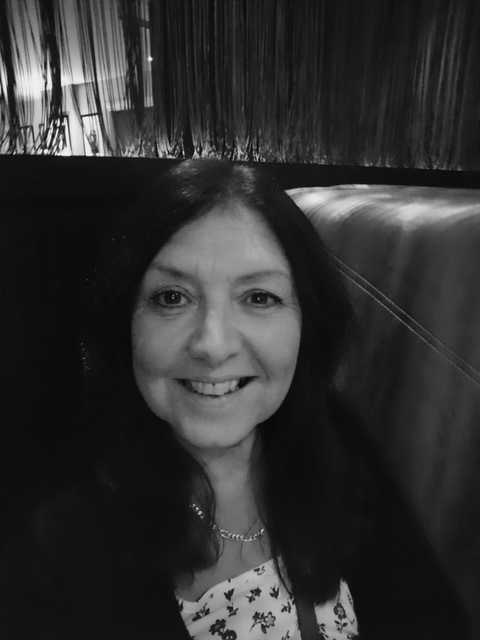 Sue was born in Liverpool and moved to Lancashire as a teenager where she has lived ever since. She has written three books, the third 'My Summer of love and limoncello.' will be published on March 6th and she is busy working on a fourth book. When not busy writing, Sue spends her time with her ever growing family. She enjoys walking, cinema and travelling. Her first book 'My Big Greek Summer.' was inspired by frequent visits to the Island of Rhodes in Greece. All Sue's books are available from Amazon in kindle and paperback format. I knew this book would fast become one of my favourites when I seen that bright bold cover, it is just so pretty and eye catching. It would make you want to jump right in. I absolutely adored the characters in this story, they had such a powerful friendship something that is so hard to find. Normally I would have a favourite character but I loved them all, they are so unique in their own ways. The location was absolutely beautiful and I really just wanted to jump on a plane and head there myself. When reading this I just felt so happy, it is such a warm cosy read that will make you look forward to Summer! So many People are going to enjoy this and I think this will be everyones holiday read this year!